LAKEVIEW CO-OP GIN, ONE OF THE OLDEST CO-OPS IN TEXAS, was established in 1929 and has a history all its own. As an active business in the community, Dusty Byars, Lakeview Co-op Gin Manager, said they try to give back whenever possible. 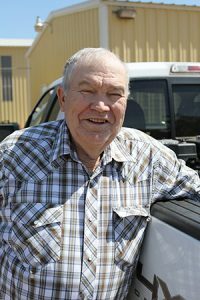 One Lakeview grower-owner, Everett Williams, recently took a step back after 46 years of farming. He has been married to his wife, Gladys, for 52 years, and together, after moving to Texas from Missouri, they have built a life and a family in Memphis, Texas. Gladys was a teacher for 33 years; however, Williams said she helped him a lot on the farm. “She could drive a tractor as good as any farmer in Hall County,” Byars said of Gladys, “and drive a combine better than anybody in the county. She also taught my kids when they were in school.” Williams said in farming both family support and hard work are important parts of being successful. “We have had a lot of tough times during the years, especially during the 1980s,” Williams said. “It was awful bad. The only way I survived was to work more and try to find something else to do to make a little extra money. The only thing I know to say is to work hard and don’t give up.” Williams said he enjoys being a member of the co-op gin because it helps the individual farmers’ operations. “I feel like they have helped us get better revenue from our crop, from the cotton especially as they have kept the gin costs down,” Williams said. 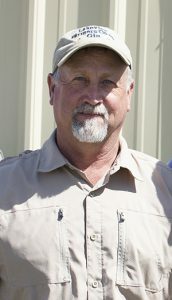 Byars said he enjoys working for a co-op and seeing the farmers work together for a common goal.